Catiz Tash-Murkon has been called the richest woman in New Eden. In EVE’s fictional universe only Lai Dai CEO Alakoni Ishanoya or the Duvolle sisters come anywhere close to competing with her for this title. As the new Amarr Empress, she will also be the most powerful woman in the cluster. Her ascendency will have far-reaching consequences for the Empire and beyond. Many have viewed King Garkeh Khanid II as the most controversial heir in this succession, but Catiz Tash-Murkon is not exactly a representative of the Imperial status-quo either. To begin with, she is not of True Amarr ancestry. As a Udorian, she can trace her lineage back to the Amarr homeworld, but not to the founders of the Empire. The Udorian civilisation of old was larger, more prosperous, and more egalitarian than the theocracy of Amarr island, but it was also much less belligerent and unified. Most crucially, the Udorians did not share the religion which provided the Amarr with their strong sense of manifest destiny. Eventually the Udorian nation fell to the alliance of Amarr and Khanid, and its population was enslaved. 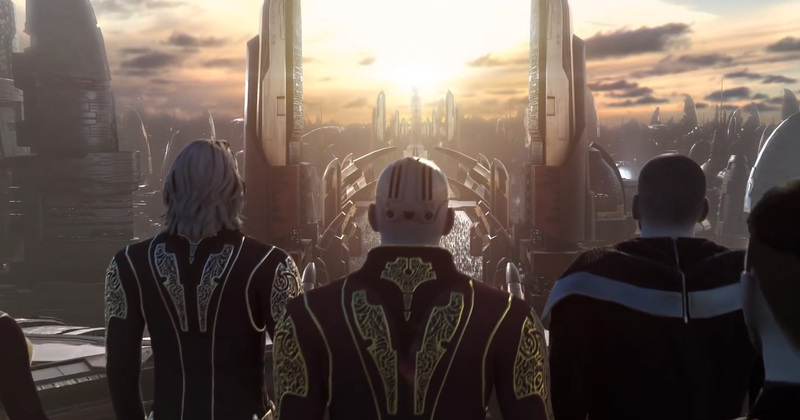 Today, many centuries have passed since the unification of Athra – the Amarr homeworld – and the Udorians are fully assimilated into the interstellar Amarr Empire. They theoretically hold the same status as any other Imperial citizen. Still, puritanical traditionalists among the Amarr consider them a lesser bloodline to this day. House Ardishapur in particular frowned upon the elevation of Tash-Murkon to Imperial Heir status. The way that happened was indeed unorthodox. Almost 320 years ago, after House Khanid seceded from the Empire in 23041, one seat on the Privy Council remained empty. Emperor Heideran VII wanted to avoid stalemates among his advisors, so he decreed that the council seat must be occupied again, by the heir of a new royal house. That happened during a time when the Empire was in difficulties both militarily and financially. They had just fought a costly war against the rebellious Khanid and lost. Davit Tash-Murkon was the most powerful businessman of the Empire in that period, and he leveraged that position to effectively buy House Tash-Murkon the status of Imperial Heir. House Ardishapur rejected them on grounds of their ancestry, and because they mistrusted the liberal leanings of the Udorians, but the Emperor’s decision was final. It would pave the way for the new Empress’s ascendancy. From all available source material, it appears that Udorians still retain some aspects of their ancient cultural roots. Originally their nation was built on trade and entrepreneurship, and the Tash-Murkon family followed the path of their forebears. They had become the Empire’s most successful industrialists and merchants. Davit’s eldest daughter Catiz did not simply inherit his wealth and holdings. As a young adult, she struck out on her own. Over time, she built up a mining and industry corporation and came to great wealth independently. When her father took his life during the Shathol’Syn ritual after the previous succession trials, Catiz merged his business assets with her own. In this way she built the largest business conglomerate the Amarr Empire had ever seen. Naturally, she also took her father’s seat on the Privy Council. Many political players viewed Catiz as someone with little ambition beyond managing the Empire’s finances, but her game was a different one. The Tash-Murkon Heir did not so much engage in political maneuvering as in shrewd business deals. In a society where a powerful, autocratic government is directly tied to entrepreneurial interests, a resourceful tycoon can gain great influence, and so she did. 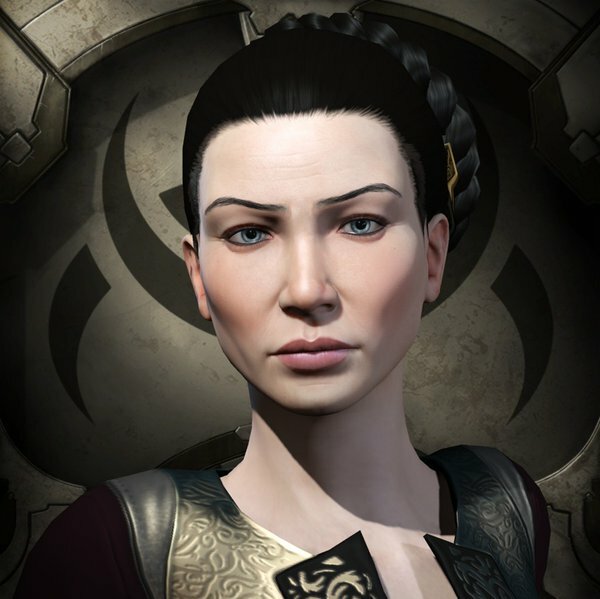 Recognizing the acumen of the Udorian woman, Empress Jamyl put her in charge of the Empire’s economic affairs. On a broader level, House Sarum became the main business partners of House Tash-Murkon and began to adopt economic practices from the Udorian family. Meanwhile, the Empyrean War had resulted in a resurgence of conflict between Caldari and Gallente. Tibus Heth had brought the Caldari State under one leadership, but he also bled the economy dry for his nationalistic campaign against the Federation. Tibus Heth may have been an inspirational leader, but he was not a great ruler or strategist. 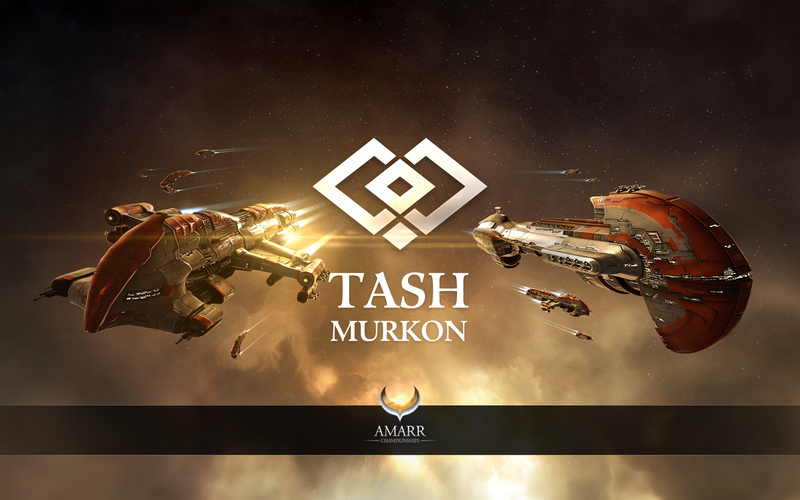 As a businesswoman who had prevailed in the byzantine web of intrigues at the Amarr court, Catiz Tash-Murkon was his superior in that field. She recognised the weakness of the State’s position and it was a welcome turn of events. For many years Caldari investments had flowed into the Empire and served the interests of the State’s megacorporations. The opportunity had come to reverse that trend. Cleverly Catiz Tash-Murkon drew her plans to bind the Provist government to the Empire financially. She had engaged House Sarum in mutually beneficial ventures and so she had the Empress’ ear in economic matters. At the same time Catiz Tash-Murkon worked closely with the Khanid Kingdom and began to groom their ruler as a long-term ally. With those two parties backing her plan, she drafted the Caldari-Amarr Economic Stimulus Agreement (CAESA). Catiz Tash-Murkon remained behind the scenes, however, and it was the Empress who announced the CAESA as her own initiative on January 2nd of YC 111. Subsidizing the Caldari State’s economy offered not only political leverage over Tibus Heth, but also ensured the Gallente were kept on their back foot. Furthermore, this joint agreement between the Khanid Kingdom and the Empire improved relations between the two nations. Eventually this lead to the reinstatement of King Khanid II as a legitimate Imperial Heir. As Catiz ascends to the throne, she will now have a much-needed supporter on the Privy Council to balance out the almost overt hostility of house Ardishapur. Catiz will not have strong support within the military. Because of her liberal leanings and ancestry, puritanical traditionalists will also not be her natural allies. On the other hand, with the Khanid on her side, she does have the backing of a strong military power, and a continued tie to the Caldari State. The latter might become particularly useful in the future. After all, at this point there is no telling how far the Caldari Chief Executive Panel is willing to honour the CAESA agreements signed by the disavowed Provist government. Catiz Tash-Murkon will most likely not have an easy time ruling the Empire, but she has proven that she is resourceful and determined. The future will show the impact her unorthodox views might have on the Empire, but I would not be surprised if we’ll see a wave of change coming to this ancient society, such as it has not seen in some time.